I recently bought the new 2018 MacBook Air. I did look into it and I really thought it was going to be a very good choice for my wife to replace an older MBA – in the links section are some of the reviews I looked at. However that did not turn out the way I thought. She is now going to get my 2017 MBP and I am going to keep the new MBA. It will be better for both of us. I wrote about moving to my 2017 MBP in a very detailed article. Now, in this case it is not going to be a big change so it will be much more of a simple article. You will need at various times your Apple ID. You should already have an external drive for your Time Machine backups. But if not, please get one, and do a backup. On the old Mac do the following. Apply all outstanding application updates. Apply all outstanding OS updates and upgrades. Do a Time Machine backup. This will provide the info for the migration since it is on an external drive that can be connected to the new Mac. Do an image backup – like with SuperDuper. If you break hardware this is what you will use with new hardware to bring things back to life. It can safely go on the Time Machine drive. You have good backups? Ok, if you do continue. Sign out of iCloud. This is done in System Preferences and iCloud. You do not need to keep a local copy of anything so deselect all the choices. Once that is done you have a Continue choice instead of Keep. You may be prompted to let iCloud Drive finish updating but that is OK and likely will not take long so let it finish. 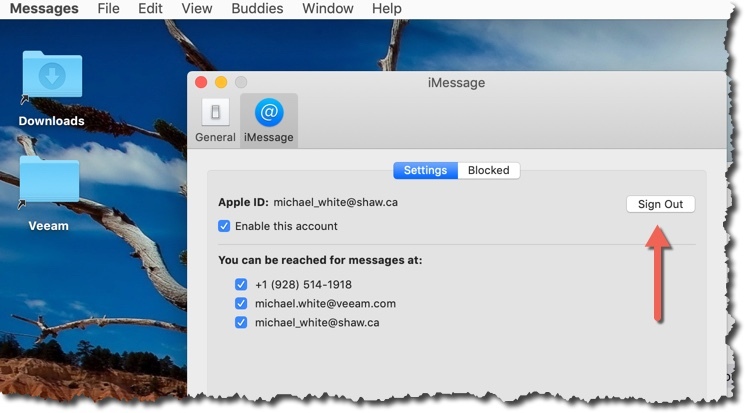 You may be prompted about your Safari passwords and you should delete from mac as we do not want to leave them behind. Once you have signed out it will try and get you to sign in again. But don’t. 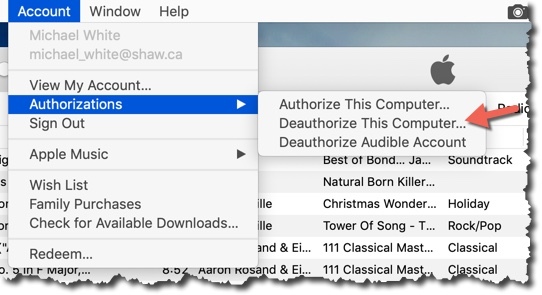 Next in iTunes you access the Account menu option to Deauthorize the computer. 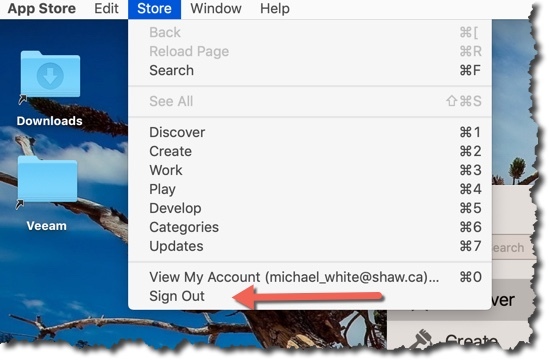 Next in iTunes you now sign out using the option in the Account menu. Now sign out of the App Store. That is done under the Store menu option. Next is to sign out of Messages which is under Messages, Preferences, iMessage. If you have a firmware BIOS password – and I think most of us should – you should turn it off now using this info. The utility is now called Startup Protection. You should turn off your old mac now. Keep it safe and off for a while – just to be safe. Now we get the new Mac working. Once your old Mac is put away safely, connect your new mac to your external Time Machine drive. Power on the new Mac. And then I was asked about restoring Time Machine. I need to add here that asking about time machine is a signal that I messed up. I had built out this laptop so my wife and I could look at it. I then erased it and thought it ready for doing a real install. It was not. What I should have done was erase the disk, installed macOS, and than it would have worked. So I am doing that now. I was given an option to migrate, or to skip. I chose migrate, and my Time Machine drive. Next we see what info is to be migrated. I leave everything selected, and wait to see how much is going to be migrated – really a lot – 790 GB. Provide a password for your account, and continue. I like to use Filevault, but I do not let my iCloud account unlock it. First suggested time, was 6 hours, at 30 MB/s. Not sure if I believe it. But we will see. I am using a USB-C drive, connected via USB-C. I think this should be a lot faster. Your time may not be the same. And it may pass more quickly too. When I went from an old MBA to my 2017 MBP it was around 130 MB/s. I think the key here is understanding I had 790 GB to move! Once the migration is done, you will probably be prompted to accept and enable some extensions. Things like anti-virus for example. Once that is done you are done. You now quit. I suggest a restart before logging in for the first time. Test playing a iTunes movie or tv show. You may need to authorize this new computer. Once you Mac is working well I suggest enabling a firmware BIOS password – use this info to do that. The utility is now called Startup Protection. Once the restore is done, we need to check a few things. we should be able to log in using our old account, with either same or new password – remember we changed it during the restore operation. You will need to enter your Apple ID password. And if you have two factor authentication enabled – like I do, you will need to deal with that – pretty easy and quick though. You will need to enroll your finger for the Touch ID. You will need to setup your Apple Pay, or do it later. Does my key apps work? These are mine but they could be whatever. Outlook – had to be activated. That was under the Outlook menu. I had an app called Wifi Signal I really like. I had to use my Apple ID to authenticate it could work on this new computer. Very cool tool. I had a plugin called Monity on the Today page. It was not there, but I could add it back so that was quick and easy. I also had to add the battery one back too. Word / Excel / Power Point – all good. BackBlaze – No need to inherit. It is good. Time Machine – I need to inherit so that the old backup is connected with this computer. It will end up doing – I think – a sync of some sort to tell what is new or not, and as a result will show Preparing as a status for some time. But by morning – in my case – will be finished and have done a backup. Maybe spot check some of the docs I was working on recently. – all there! Make sure printing still works – it does! CleanMyMac did not work. I had to reset the license so it would work with my new license. There were links to do that in the prompt about it not working and it did not take long. Be aware that your Photos may take some time to sync or confirm things. It does not take too long. I also suggest you check the Photos preferences and make sure the settings are what you expect. For example it changed my Download Originals to Optimize which I did not want. It was a little flaky while it tried to catch up. 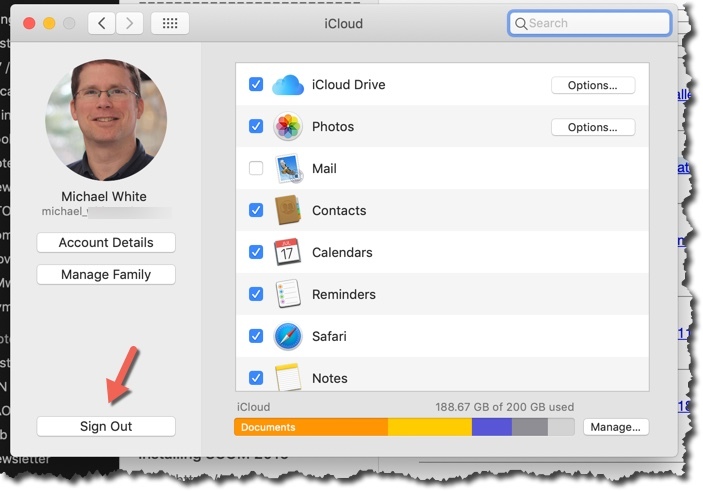 Be aware that iCloud may take a bit to sync or confirm things. I did not see an issue in this, but it did seem to do a check. Check that your screen saver is what it should be. In my case it was not, and back to an Apple default. Start up your old Mac, and immediate press and hold Option Command R.
When you see the Apple logo, or a spinning globe release the key. You will see the Utilities menu, and you can select Disk Utility from it. Highlight the disk, and select Erase. When it is done and you are prompted to select language use Command Q or power off the mac. It is now safe to give or sell. BTW, all of the accessories that I had for my MBP 2017 I am using with no issues with my new MBA. You can learn about those accessories in this article. But since this MBA came with USB-C ports there is no issues. Now would be the time to connect your Bluetooth stuff like mice and keyboards. 11/12/18 – updated with the screen saver issue.